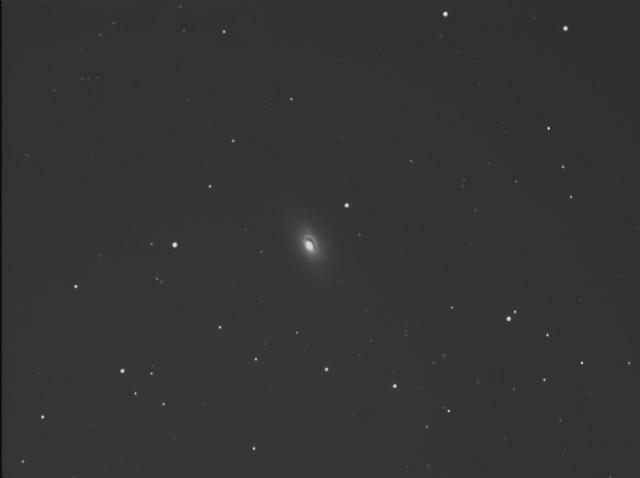 This is a 20 minute exposure of the Black Eye Galaxy, aka M64 Coma Berenices 8.5 magnitude, taken thru Orion 80ED. Will attempt a two hour exposure next time out. This particular night was extremely clear, dark skies here in Whiting.